Alameda County officials are moving quickly toward a potential sale of its portion of the Coliseum complex to the City of Oakland. Alameda County Administrator Susan Muranishi will recommend at next Tuesday morning’s Board of Supervisors meeting that the county move to “expand discussions and negotiations” with Oakland city officials over not just the Coliseum proper, but the former Malibu Grand Prix lot on Coliseum Way, and the Raiders training facility in Alameda. County supervisors are also scheduled to discuss the Coliseum negotiations in closed session, prior to the regular meeting. 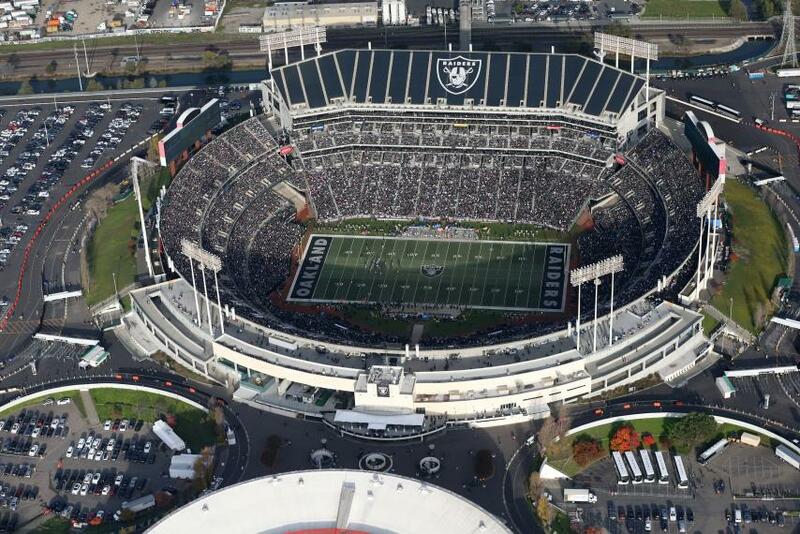 The cost of the Coliseum property is unclear, but last year, an investment group looking to buy the land and build a new stadium for the Raiders reportedly offered $167 million. In addition, the city and county have large debt obligations at both the Coliseum and Oracle Arena, following renovations in the late 1990s. Oakland officials declined during a recent Coliseum Joint Powers Authority meeting last month to speculate on how the debt would be paid down in the event of a sale . The Oakland-Alameda County Coliseum is jointly owned by both government entities. However, the arrangement over the years has often been mentioned by public officials and team owners as being a impediment during past ill-fated negotiations for new stadiums. The Golden State Warriors, Oakland Raiders and possibly the Oakland Athletics have all made plans to leave the complex within the next 5-6 years. Oakland Councilmember Larry Reid acknowledged last month the existence of the city, county and Coliseum JPA being a unwieldy obstacle for the sports franchises and investors interested in developing the property in the future. Posted in Alameda County, Alameda County Board of Supervisors, Athletics, closed session, coliseum, Coliseum JPA, Larry Reid, Oakland, Raiders, sale, Susan Muranishi, Warriors. Bookmark the permalink. I am a resident of Alameda County, but not of Oakland. In fact, I live in an unincorporated section of AC. Related to my above comment, in any negotiations Alameda County enters into in attempts to try to sell its interest in the Coliseum, it should not only offer to throw in its politicians as a free bonus, but also its professional pathological liars with law licenses in the DA's office and County Counsel's office, and also at least most of the higher ranking managers in the Public Works Agency. For instance some of those “experts” definitely “know” that having tree branches overhanging, and in some cases actually laying on, house roofs constitutes fifteen feet of defensible space. In other words AC government, and especially its Public Works Agency, is heavily infested with “sophisticated,” fancy talking, and “highly educated” submental retards.